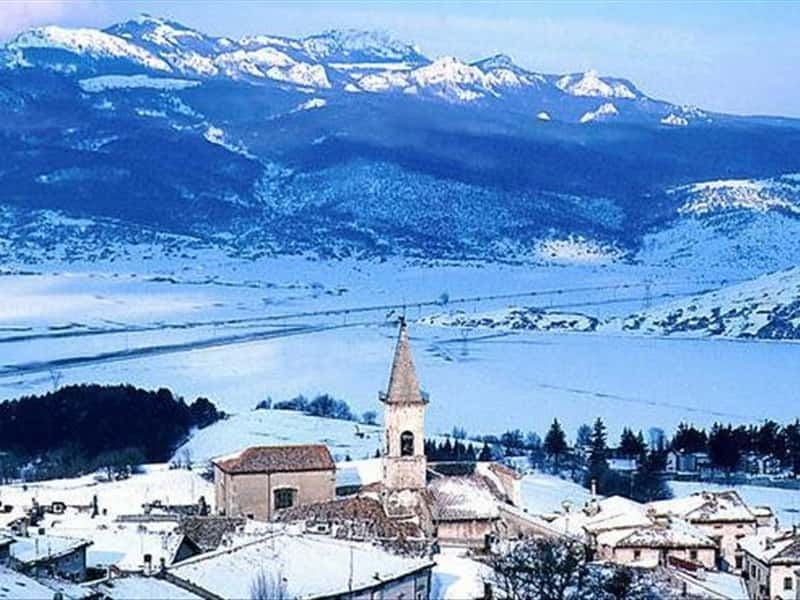 A town in the province of L'Aquila, situated on the slopes of Mount Calvario, Pescocostanzo dominates the plateau overlooking the Quarto Grande. Although the name is mentioned for the first time in a document of the XI century, the discovery of graves dating from the III century A.D. evidence that the town was founded by the Romans. Between X and XI century the presence of a small fortified village is witnessed, around which, in later centuries, developed several houses. Partially destroyed by an earthquake in 1456 and thanks to the government of Vittoria Colonna, the town was rebuilt and enriched with several valuable artworks that feature a perfect mixture of Baroque and Renaissance styles. - the many palaces, mainly in Baroque style, with rich portals and wrought iron balconies, such as Palazzo Sabatini, Palazzo Coccopalmeri (XVII century), Palazzo Colecchi (1771), Palazzo Grilli (XVI century), Palazzo Mansi (XVI century) , Palazzo Cocco, Palazzo De Capite (1850), Palazzo Ricciardelli (XVI century), Palazzo Mosca (1564), Casa Rainaldi. This town web page has been visited 25,727 times.